Former First Lady Barbara Bush, who died on April 17 at age 92. Her family announced that she would receive “comfort care” in the days before her death. A few days before former First Lady Barbara Bush died, a spokesperson announced that she had decided to stop seeking medical treatment aimed at prolonging her life. 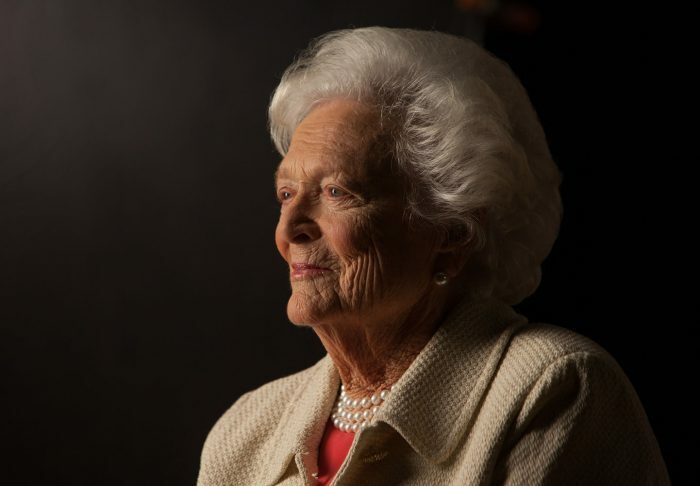 Mrs. Bush’s public disclosure helps to normalize a common but often taboo topic, and exemplifies her lifelong commitment to serving the public in the broadest sense. The announcement is reminiscent of how another former First Lady, Betty Ford, openly dealt with both her mastectomy after being diagnosed with breast cancer and her struggle with alcohol dependence. The candidness and courage demonstrated by these First Ladies helps shine a light on sensitive health care topics, opening the door to thousands of conversations within families. The public announcement also provides an opportunity to discuss a nuanced understanding of complex concepts that may mean different things to different people, especially with difficult subjects we often don’t want to face. For example, the Bush family spokeperson described Mrs. Bush’s decision by saying that she had decided “not to seek additional medical treatment and… instead focus on comfort care.” Before her death, media stories noted that Mrs. Bush had “opt[ed] to halt treatment” and would “receive comfort care in lieu of medical treatment” (emphasis added). The language in these statements may inadvertently help to create a dichotomy — an either/or — between comfort care and medical care. The public announcement provides an opportunity to discuss a nuanced understanding of complex concepts that may mean different things to different people. However, even that article — which focused on how these terms can be misinterpreted — provided an incomplete depiction of palliative care, defining it as care that “focuses on managing patients’ symptoms to keep them comfortable and retain their dignity.” While this is an important component of what palliative care can look like, it doesn’t do justice to the reality of palliative care as support for people at any age and at any stage of serious illness, often delivered at the same time as disease-focused treatment. To reach the goal of palliative care everywhere, we all need to pay attention to how language and framing influence the ways that health care professionals and the public think about these issues. Language matters. For clinicians to offer palliative care and the public to actively seek it, people need to know it as an extra layer of support that can relieve suffering throughout the course of a serious illness — including, but not limited to, the last days and weeks of their lives. These are complicated issues that are laden with emotion and light on simple definitions. Mrs. Bush gave a great gift to us by disclosing her decision and her family’s path; we can make the most of that gift by honoring the complexity behind it.